You can pass along transaction fees to customers by adding payment method type fees to transactions. Enable these in your gateway settings. If you would like to add a percentage based fee to transactions to offset your transaction fees you can add a "payment method type fee" to all transactions from the gateway settings page(s) in your PayWhirl account. Payment Method Type Fees can be very useful if you'd like to pass along your own transaction fees to customers (or split fees with customers, etc.). View the gateways page in your PayWhirl account. Click edit next to the gateway(s) to which you'd like to add the fees. Set the Payment Method Type Fees setting to "Yes"
4. Add fee(s) for each of your enabled payment method types (cards and/or ACH). 5. Give each fee a name (ie. 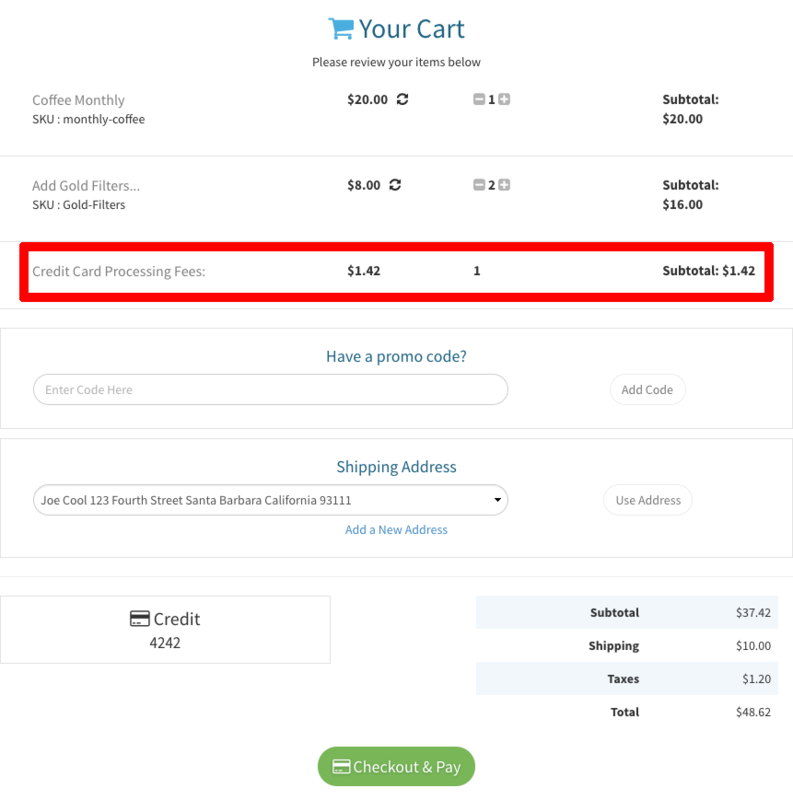 Card processing fee) and save your gateway settings. Once payment method type fees are enabled, all carts (in widgets and portals) will begin updating automatically with the added fees. 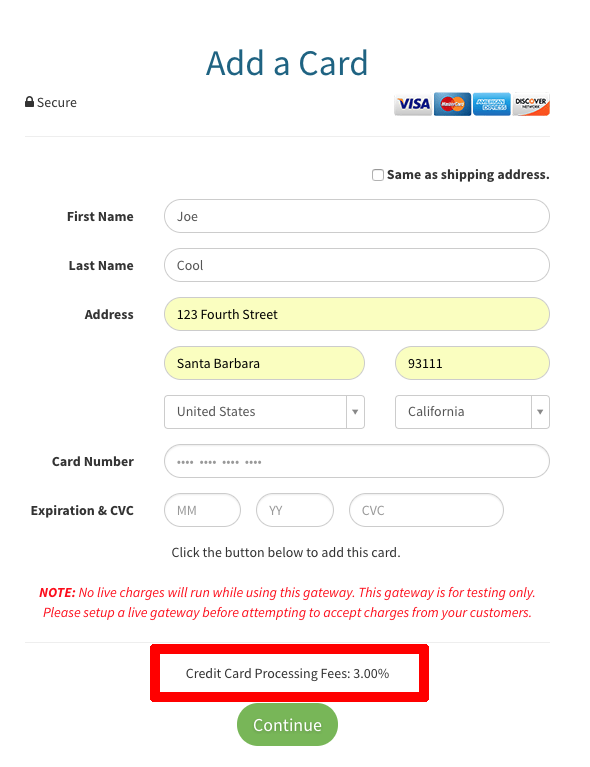 The payment method type fee name and amount will displayed to customers BEFORE they save their payment method during checkout. The cart will update AFTER they have saved their payment method and are viewing the final confirmation page of checkout. If a customer edits their payment method on an existing invoice or subscription via the customer portal, their payment method type fees will also be updated accordingly for future transactions. NOTE: Fees are added as a line item to the customer's invoice(s) and applied to the subtotal prior to shipping & taxes.